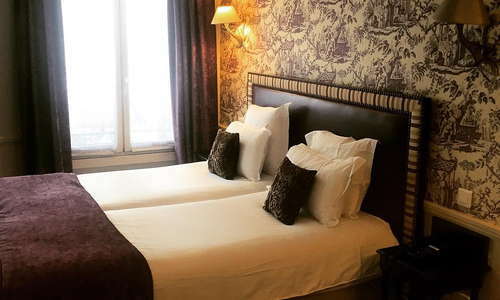 Near the Opéra Garnier and some of the city's best department stores, this inviting family-owned budget hotel, on a quiet Haussmannian street, has the little extras that make it a good value. In addition to complimentary Wi-Fi access, you are free to use the computer in the lobby lounge or help yourself to beverages and light snacks. Don't be afraid of taking a street-facing room, they are brighter and noise is not an issue on this quiet street. Snug rooms have an attractive decor that's contemporary but with classic touches, like toile de Jouy wallpaper, exposed wood beams, wood accents, and tasteful color schemes. Some rooms on the top floor have small balconies overlooking the Paris rooftops. YOU SHOULD KNOW The hotel elevator reaches the fifth floor, so those who want the benefit of a sixth-floor balcony will have to navigate a flight of stairs. Clean, contemporary bathrooms have walk-in rain showers (no tubs) to save space and all the amenities. The cozy lobby offers plush seating and enough space for quiet lounging, as well as a small computer area if you need to get some work done while your travel companion sleeps. The first-floor breakfast room is a pleasant spot to enjoy a standard buffet breakfast. 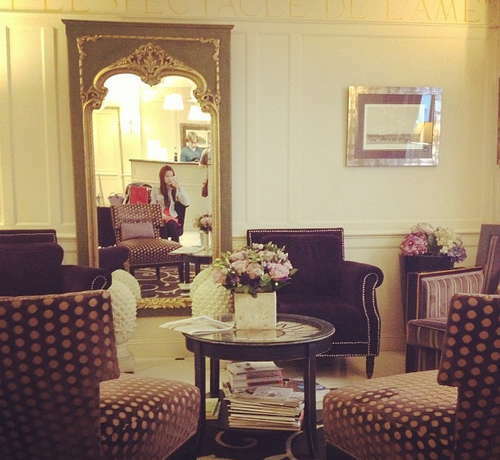 The small lobby bar serves a limited selection of wine and stronger drinks for a reasonable price. 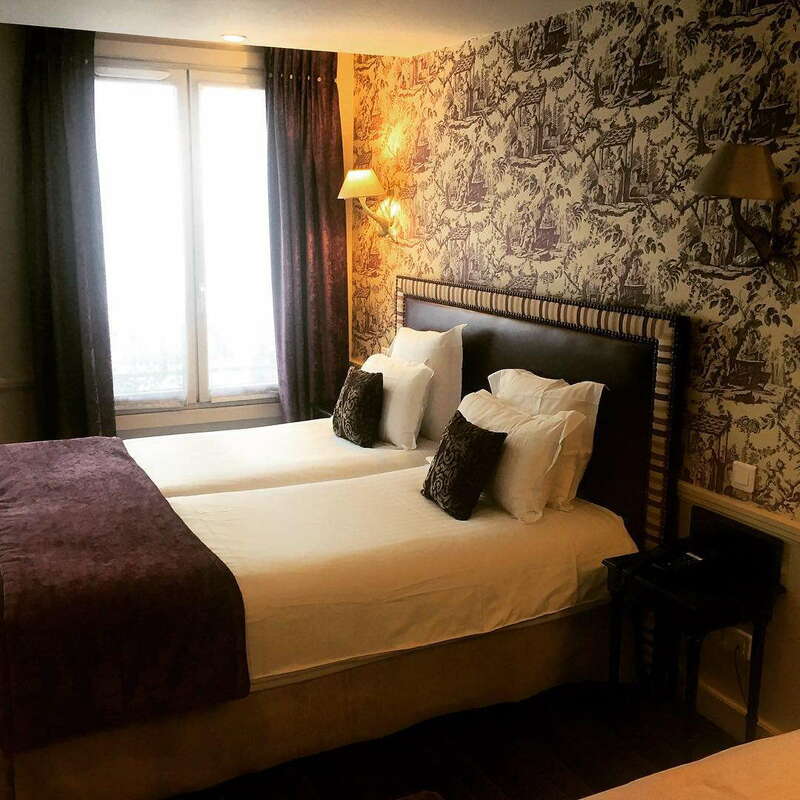 A few minutes walk to the Grands Boulevards, Chausée d'Antin, and Bourse metro stops. This classic Haussmannian neighborhood is a great area to explore, especially on foot. 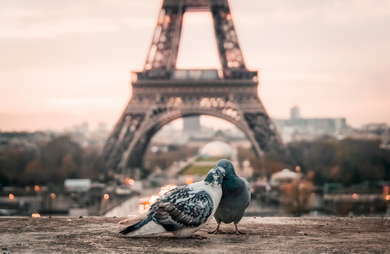 Much of what you'll want to see is no farther than a 10-15 minute walk, and many things are much closer, like some of Paris's best covered passages, four of which are just minutes away (Jouffroy, Panoramas and Verdeau, off the Blvd Haussmann, and the lovely Galerie Vivienne on the Rue des Petits Champs). 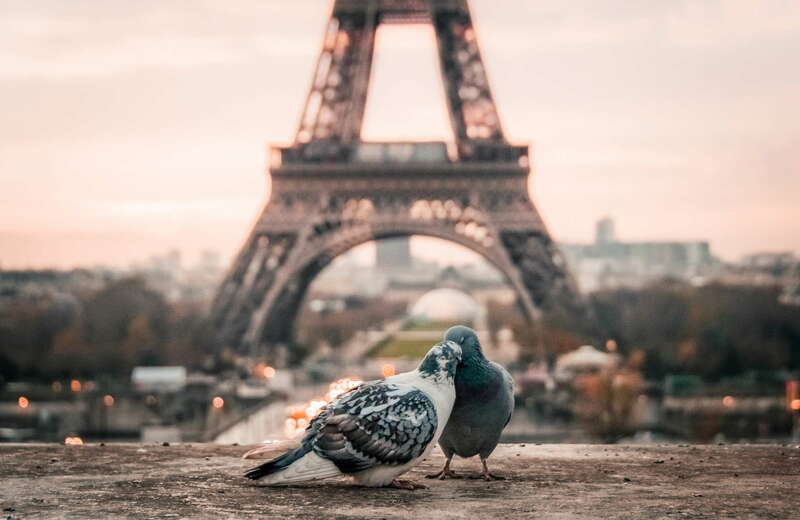 You're also close to the Opéra and the big department stores, Galeries Lafayette and Printemps, and a quick walk to the elegant Palais Royal gardens, an absolute must-see. You can also walk to the Louvre and Tuilerie gardens as well as Les Halles easily from here. For a quick, delicious bite, Rue Sainte-Anne, around the corner, is Japan central, full of bargain Japanese restaurants and Asian grocers, where you'll find everything from fast-food noodle joints to fresh, authentic cuisine paired with artisanal sake. Nearby foodie havens from top Paris chefs include Saturne (Sven Chartier), La Bourse et la Vie (Daniel Rose), Aux Lyonnais (Alain Ducasse), Passage 53 (Shinishi Sato, 2 Michelin stars), Terroir Parisien (Yannick Alleno) and Paris's chicest new pizza joint Daroco and it's stylish cocktail bar, housed in Jean-Paul Gautier's old atelier, a few minutes away, at 6 rue Vivienne. Some excellent wine bars within easy walking distance, include Les Juveniles—an expat hotspot—featuring small producer wines and top-value gourmet menus at lunch and dinner. Verjus Bar à Vins, below its gastronomic restaurant parallel to the Palais Royal gardens on rue de Montpensier serves a small but choice selection of wine and gourmet tapas. More than just a clean, comfortable place to lay your head, this small, well-priced lodging offers quality service and all the amenities you'll need to feel right at home. Pluse, it's in a neighborhood that's within walking distance of many of the city's must-see sites.